ALICE is a comprehensive training program for increasing the chances of survival through proactive response options during a Violent Critical Incident (VCI). Click for videos can help introduce you to ALICE Training and how it could fit into your organization. 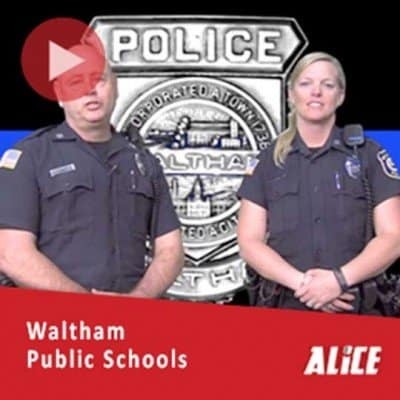 Located in Tulsa Oklahoma, Bixby High School recounts their experience with ALICE Training's active shooter and mass shooting response protocols. Learn more about the benefits of ALICE Training's Counter Strategy. 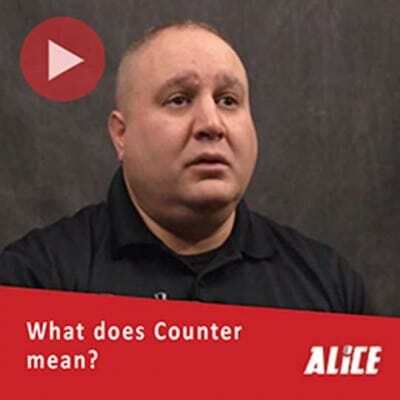 Due to a large number of inquiries about the nature of ALICE Training's Counter Strategy, we have released this video explaining what Counter actually is: a last resort effort aimed at preventing an intruder from shooting accurately. In this episode of Beyond the Badge, the Washtenaw County law enforcement agencies come together with the Washtenaw County School Districts to implement ALICE Training.